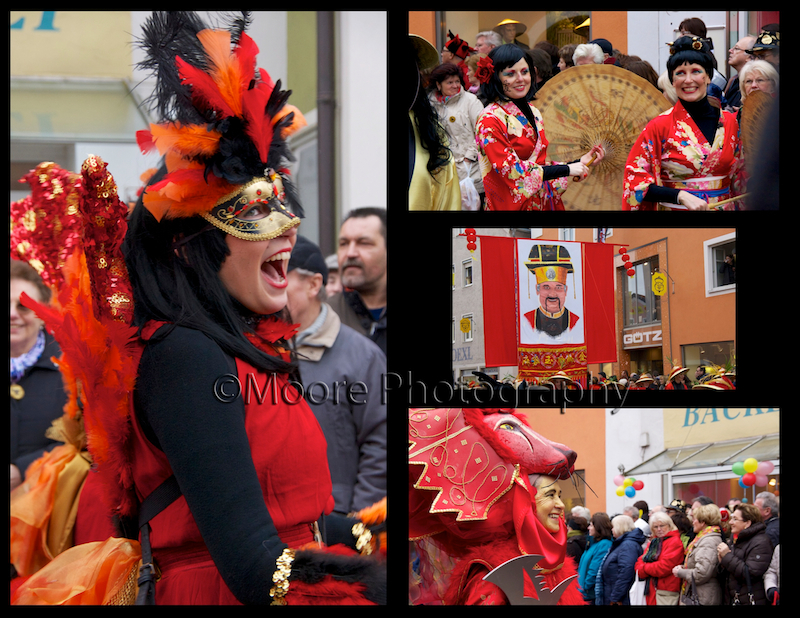 Last week, I joined up for an ACS trip to Chinese Fasching in Dietfurt. I love taking field trips through ACS! They are always inexpensive (or free! ), and they've really helped me adjust to living in a foreign country. You feel safer with a group, and it's nice to have someone available who can explain what's going on around you. Anyway. That was my ACS spiel. Check yours out today, peeps. 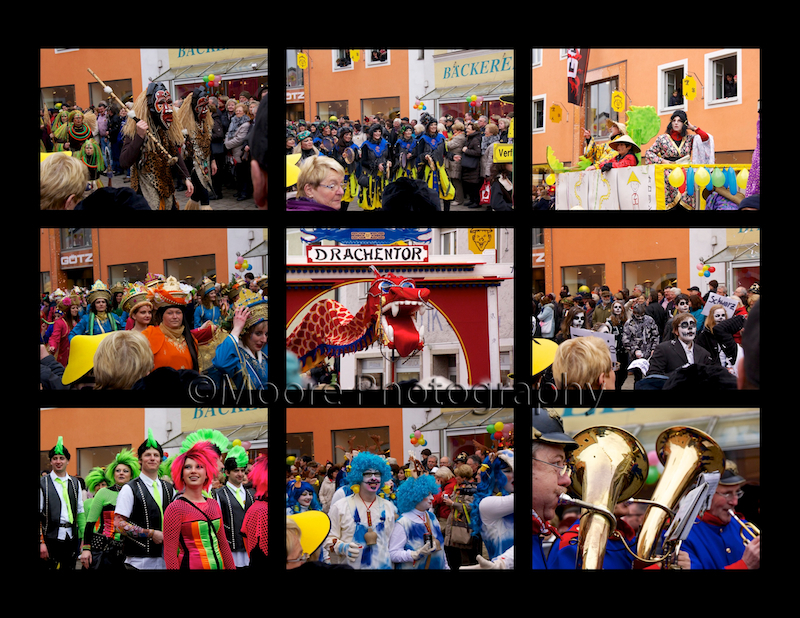 "Fasching" is not just a German tradition, but has many names around the world. 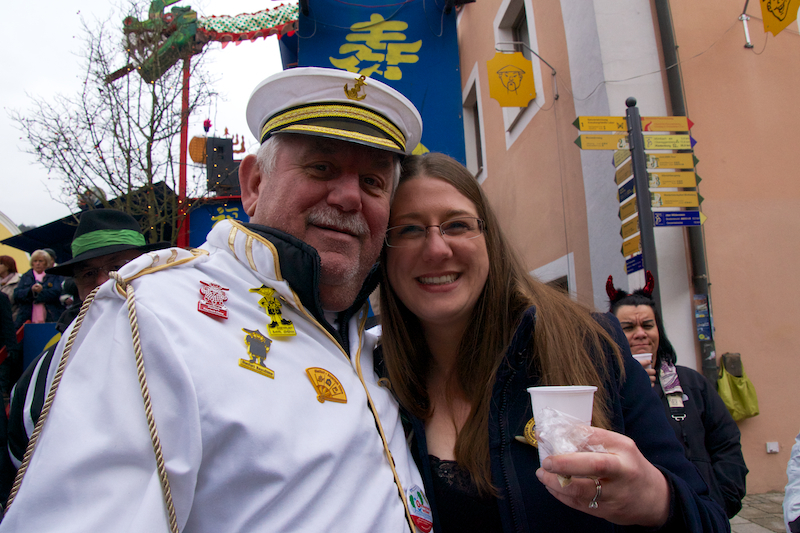 For example, in Italy Fasching is known as Carnival. For my American friends, you know this tradition as Mardi Gras. 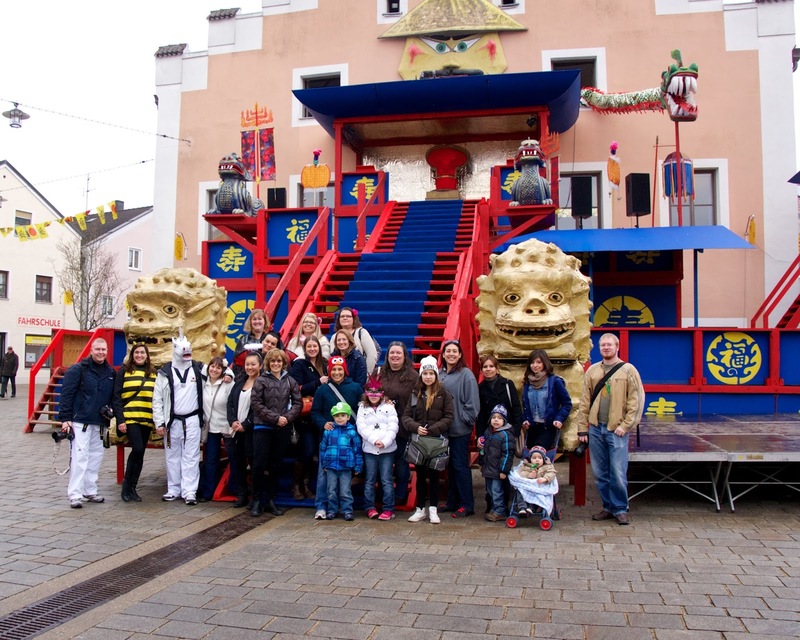 Fasching begins here on November 11th at 11:11 and 11 seconds. I'm really not sure why. But that's the way it is. Most of the parades and festivals are in the last weeks before Ash Wednesday and Lent. 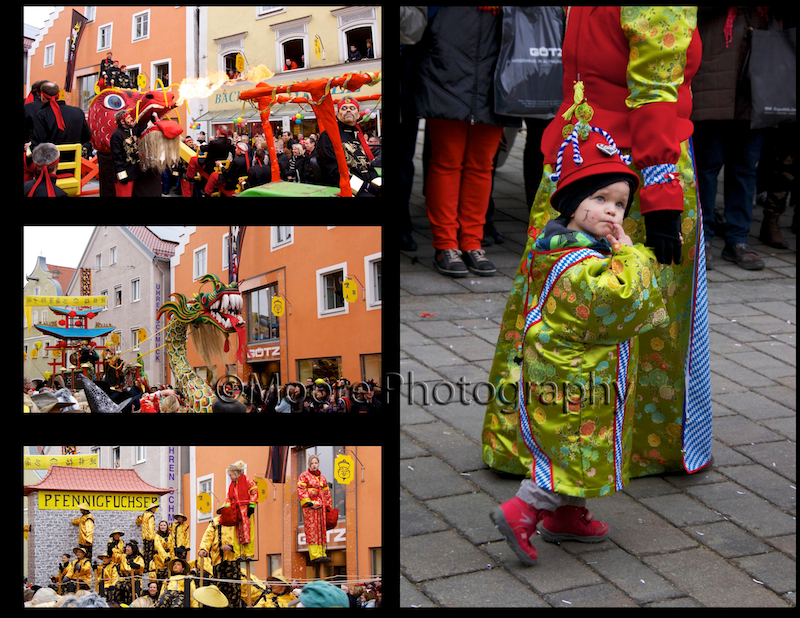 Dietfurt has an unusual Fasching tradition, called Chinese Fasching. A long, long time ago (I have no idea of the year, or even era), the people of Dietfurt were being charged to pay more taxes from whoever the guy in charge was at that time. This was not cool with them. So rather than pay the taxes, the population closed their gates and hid behind the walls of their city. Essentially, when the tax man came knocking, they pretended no one was home! Needless to say, the head honcho was pretty annoyed. He compared the town of Dietfurt to the Chinese behind their great wall, and the moniker stuck. Nowadays, the town is extremely proud of their "Chinese" heritage, and they celebrate it every way they can. Kinda cool, isn't it? I love crazy stories like that. After a tour of town with a local, we ate lunch and squeezed into the crowds. Lucky for me, Jen the Baker made friends with a super nice gentleman. He helped us get to the front of the crowd, and stay there. The parade itself is so much fun! Candy and popcorn and treats are tossed into the crowd. We were even passed pieces of cake. And shots of liquor. Lemme tell ya… Germans know how to have a good time. Because the day of the parade was also "ladies' day", most of the men were dressed up as women! Even the younger boys of the town got into the spirit of things. 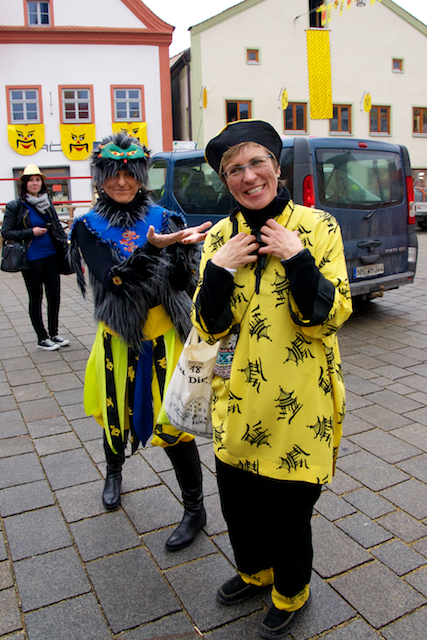 I wasn't sure how I'd feel about Fasching, but I LOVED IT. 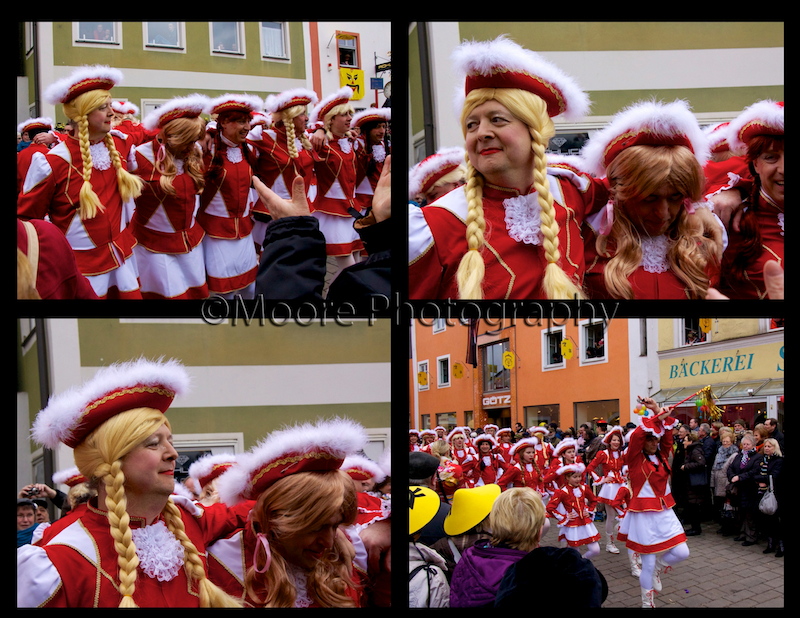 I had such a good time, the Hubs and I went to the Fasching parade in our town that weekend too. I'll be back soon with pictures from Velburg's celebration. I enjoy getting to see all the heritages of the places you visit. It's fun living vicariously through you! Paul didn't explain this holiday very well, so it's neat to see your tour and get a better feel for the experience as an outsider. Thank you for sharing, Allie! I looooooooooved Fasching! 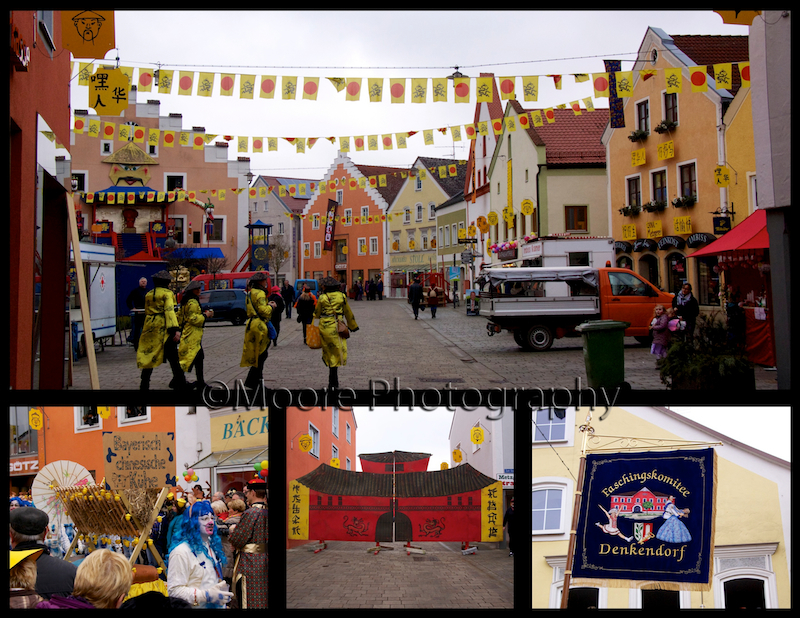 This particular parade in Dietfurt is so different from the other ones, because of their history. I'm really glad I had a chance to attend. 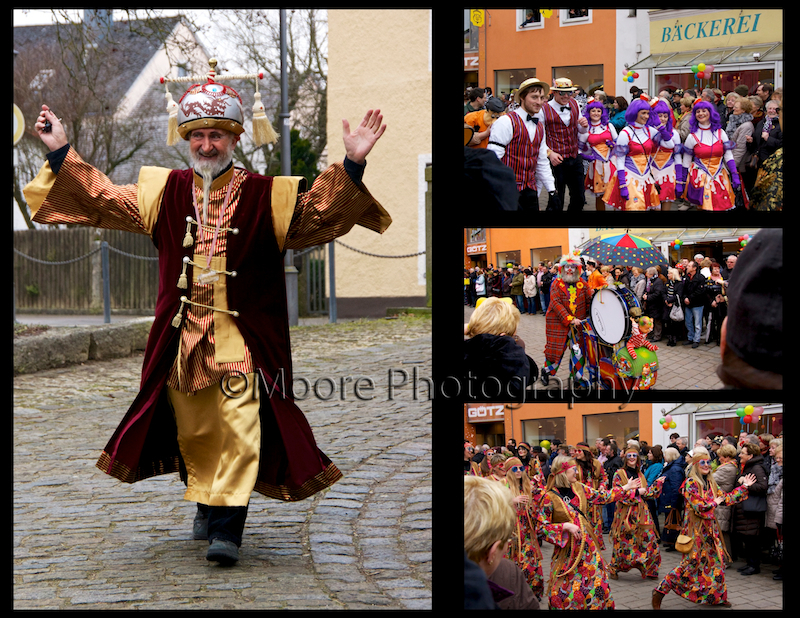 I'll be posting soon about our town's local Fasching parade, so keep an eye out for it!